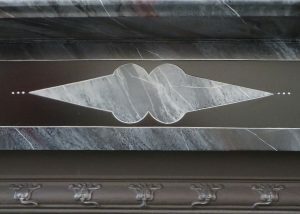 This faux marble commission was for a couple near Milton Keynes. 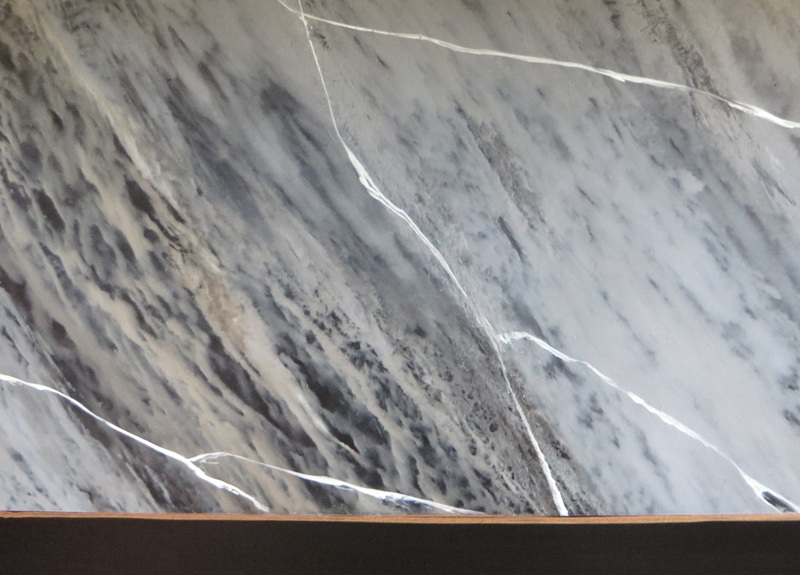 They had bought an old Victorian house and were in the midst of some large-scale renovations. 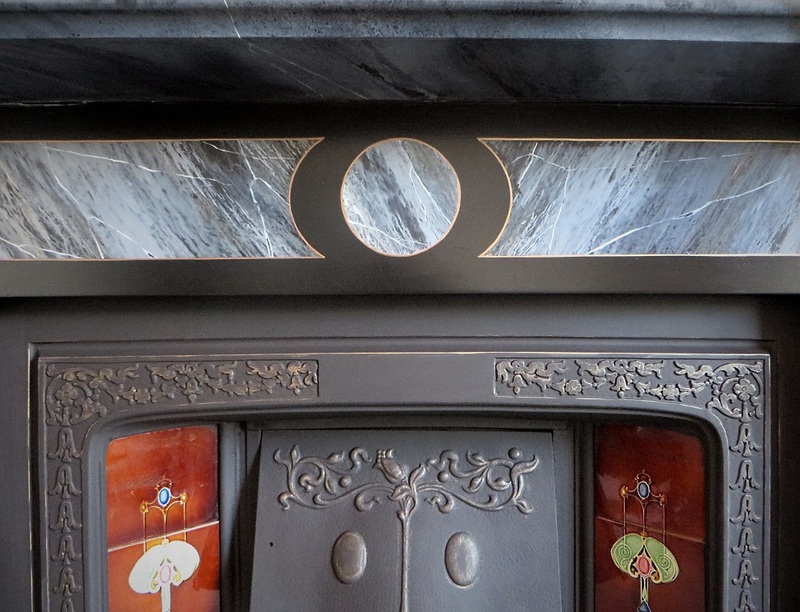 Amongst the original features were two slate fireplaces. 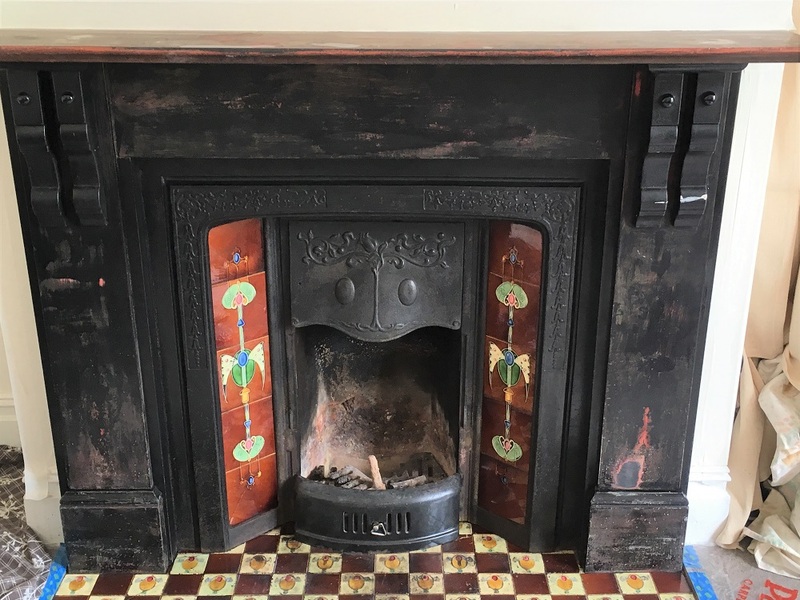 This was the one in the lounge, and though in terrible repair it had all the original tiles and could be made to look wonderful again. 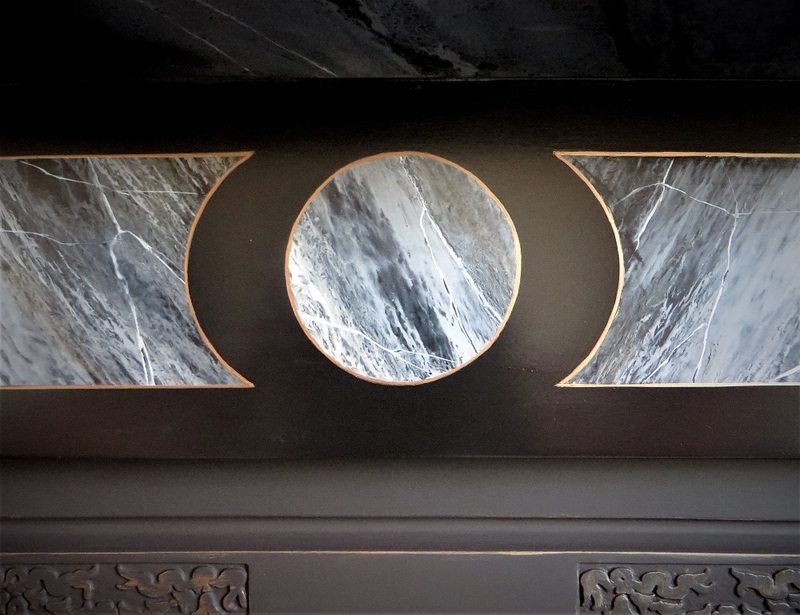 Hand painted marble effects were very fashionable in the nineteenth and early twentieth Century and this had inspired the owners to seek out a faux marble painter to restore their once beautiful fireplaces to their original Victorian look. 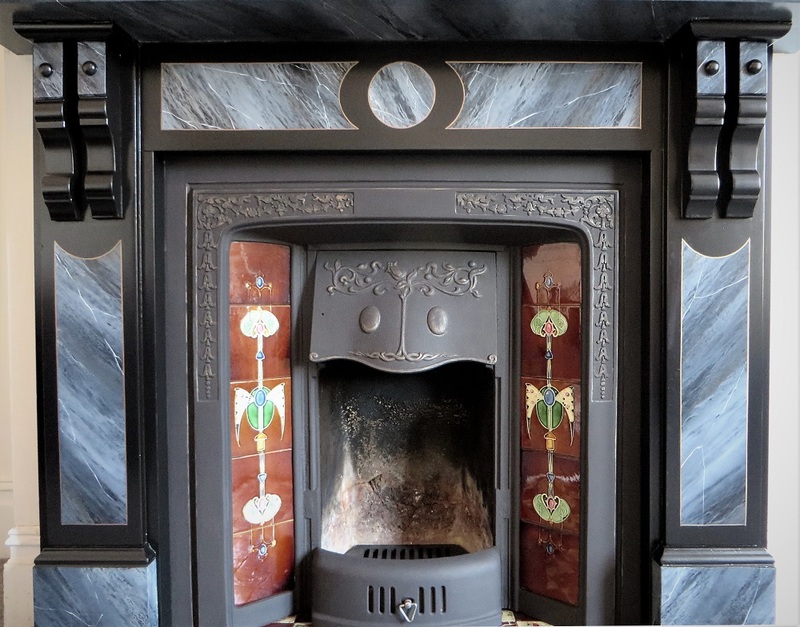 As you can see from the ‘before’ picture above, the fireplace had undergone many a transformation over the years. 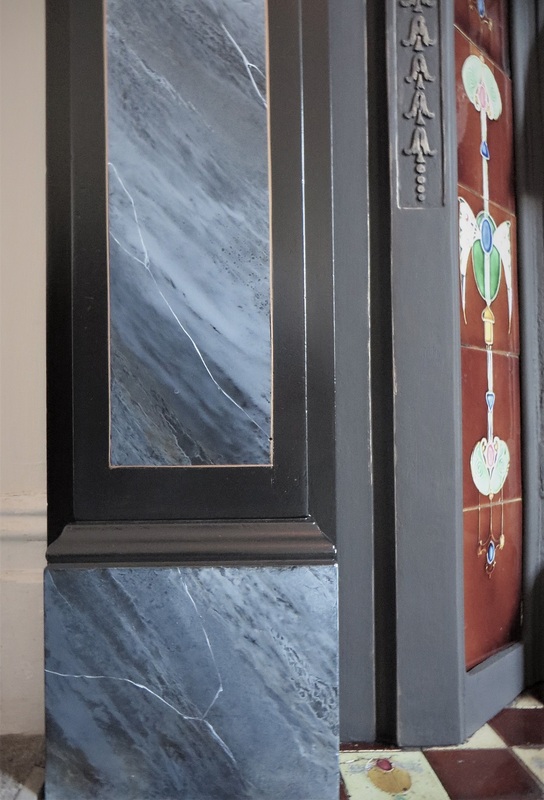 During the sanding stage I unearthed many layers including, blue paint, black paint, a faux wood effect , a faux marble effect and finally the boldest choice, the bright red. 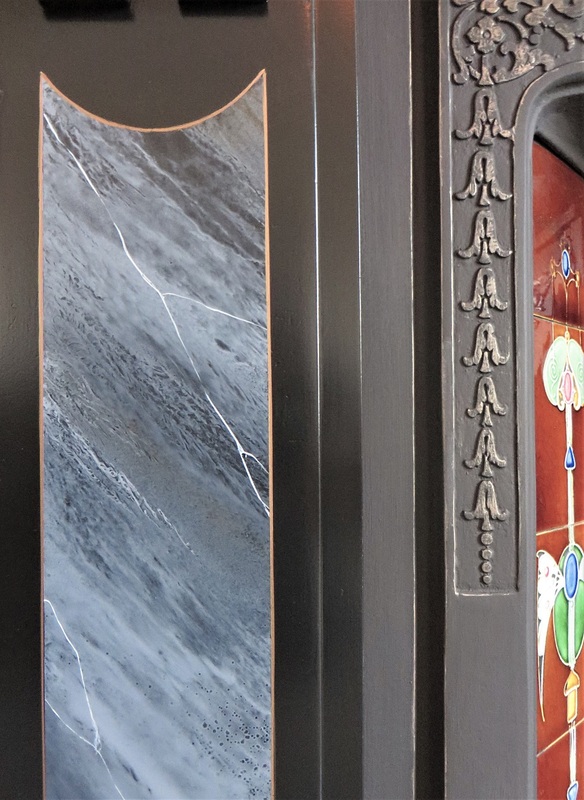 Alongside the creation of the painted marble effect I also brought out some of the hood detailing with a hint of bronze, matching the line detailing I did to frame the panels. 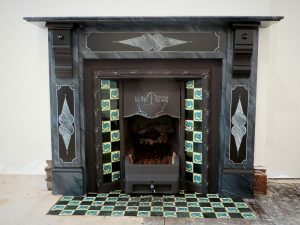 To further tie the tiles in I used small amounts of burnt umber (a ruddy brown), to warm up the colour and also balance the bronze. 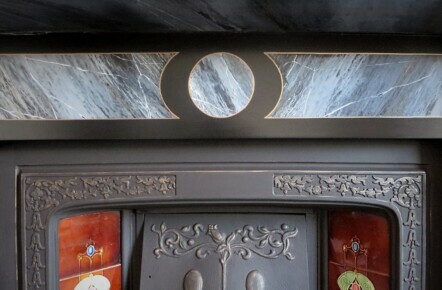 Here are a couple of images of the fireplace I painted in the dining room. 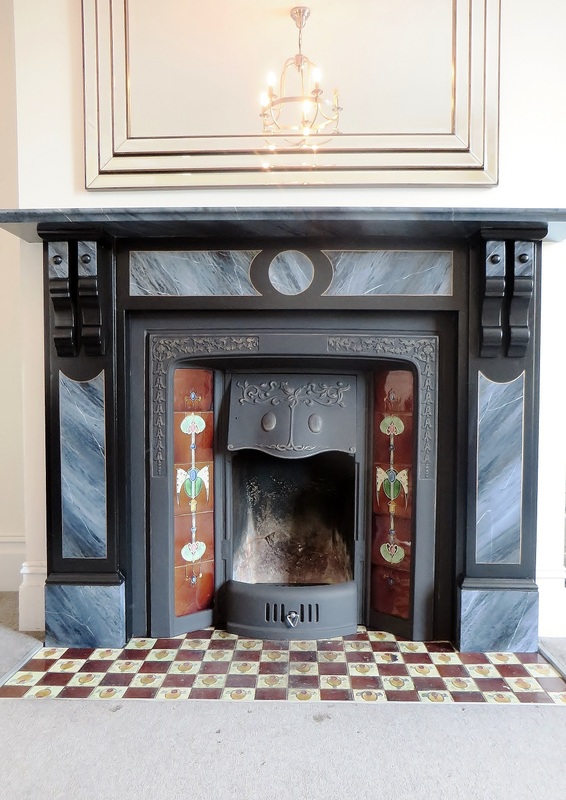 If you’d like to see more then please click here to visit the project page. 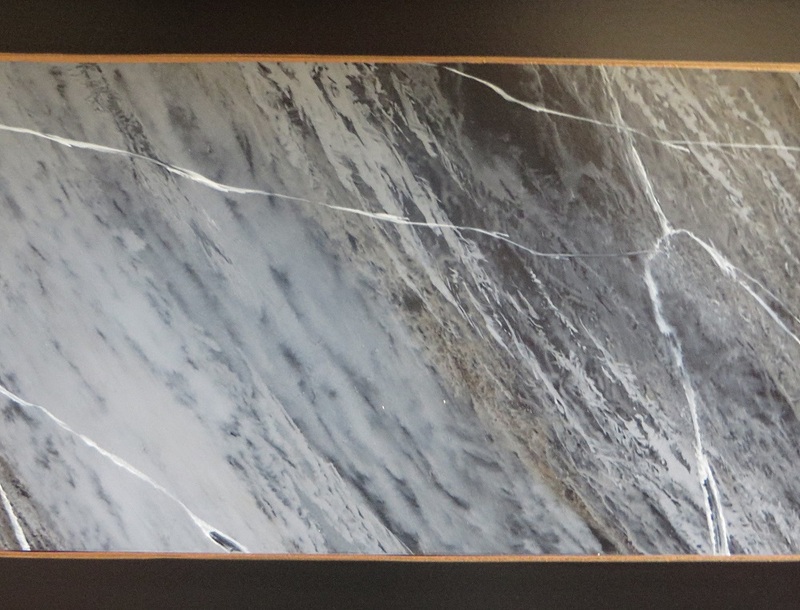 Please use the following link to see the full Faux Finish Gallery.